Purefecto: Ansel Adam on the cheap! Ansel Adam on the cheap! Since 2007, 20x200 has been selling gorgeous prints online. Their motto is "It's Art for Everyone". And they do mean every one.... whether you make 20k a year or 2M a year. Every print they make, they make them in several different sizes. 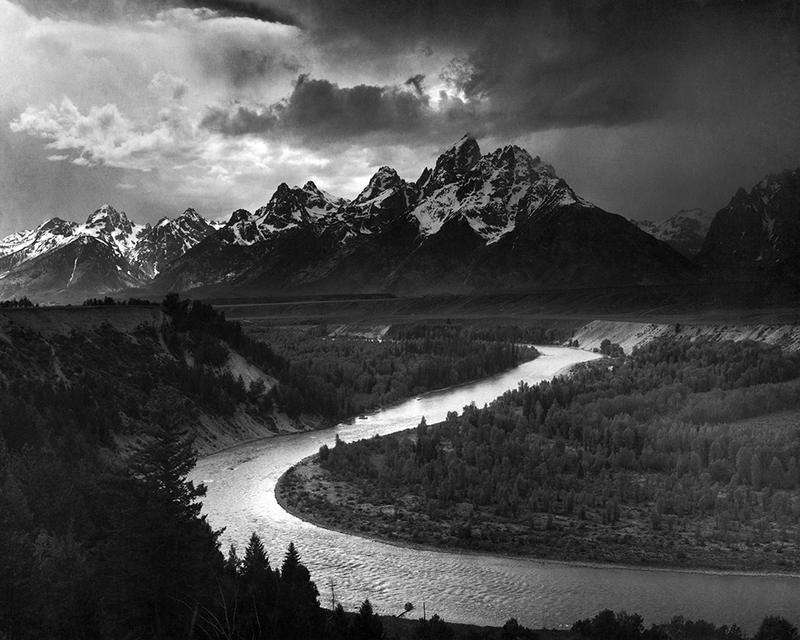 In this case, The Tetons, Snake River by Ansel Adams, they have 8"x10", 11"x14", 16"x20", 20"x24", and 30"x40". Each size has different editions. For example, 11"x14" has 500 editions available whereas 30"x40" only has 10 editions available. The starting price range from $24 to $1800. So for price of a cheap dinner out ($24), you can buy an original limited edition print by Ansel Adams! How awesome is that? !